Located off the Saurastra coast of Gujarat, Diu has several tourist attractions that attract visitors from around the world. Right from old fortresses, balmy beaches to classic cathedrals, the place has many popular Portuguese colony of the past. Some of the major attractions of Diu include Diu Fort, st. Paul Church and Diu Museum. At Tour My India, we offer an ultimate Ahmedabad Diu Weekend Tour that will take you away from the hustle and bustle of the city. With our tour you can enjoy your weekend near the calm and peaceful beaches. Be ready for a sensual spectacular that you will feel while exploring these hot locales of Diu. In the morning, we will drive to Diu. On arrival, check into the hotel. Evening is free for leisure. Enjoy a night stay at the hotel. 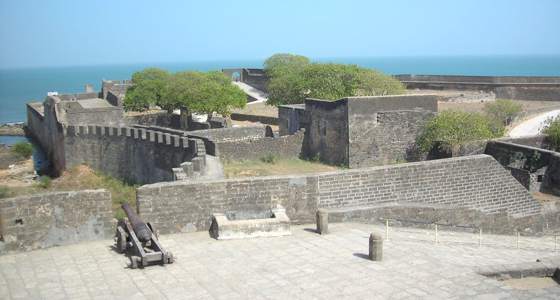 After breakfast, we will proceed for half day sightseeing tour of Diu and visit the Diu Fort. 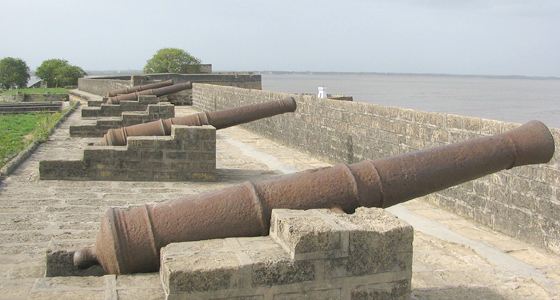 Diu Fort has canon that reminds one of the struggles between Bahadur Shah, Sultan of Gujarat, Mughal emperor and the Portuguese. Further, we will visit st. Paul Church, which is founded by Jesuits. Also, we will be visiting Diu Museum, which has a collection of wooden carving, idols, shadow clocks and so many other items. 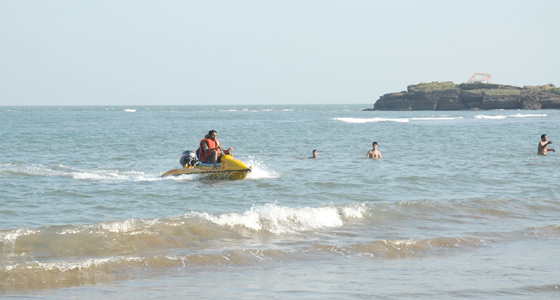 Rest of the day is free for leisure to enjoy at Diu Beach. An overnight stay at the hotel. After breakfast, we will leave for Ahmedabad. En-route, we will visit Junagadh to see the Uperkot fort, an ancient fort built by Chandr Gupta and has been rebuilt and extended many times by then. Further, we will visit the Ashokan Edicts, Mahabat Maqbara; the Ashoka's Rock edict is no way of Girnar hill temple and engraved with the Buddhist edicts of Ashoka. The edicts impart moral instruction on Dharma, Harmony, Tolerance and Peace.